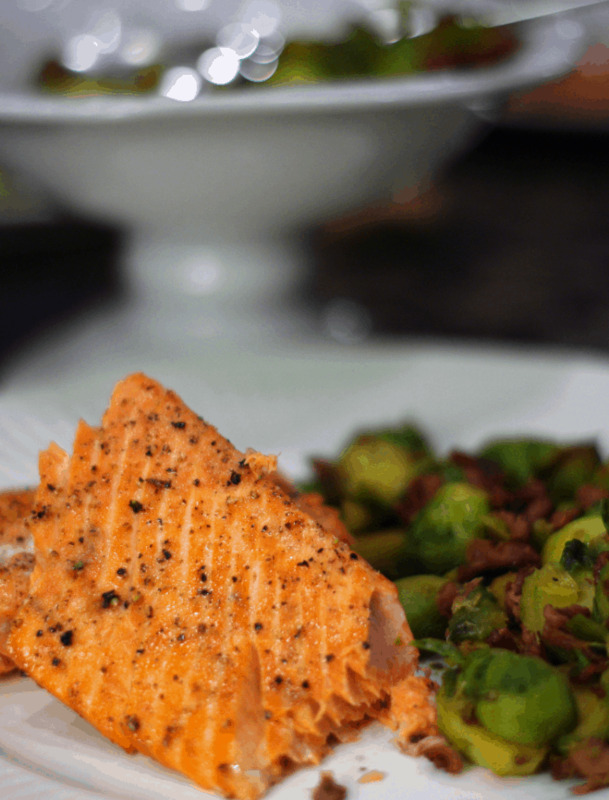 Choose a healthy option for dinner with this Wild Alaskan Sockeye Salmon with Prosciutto Caramelized Brussel Sprouts. No guilt eating this yummy dinner! 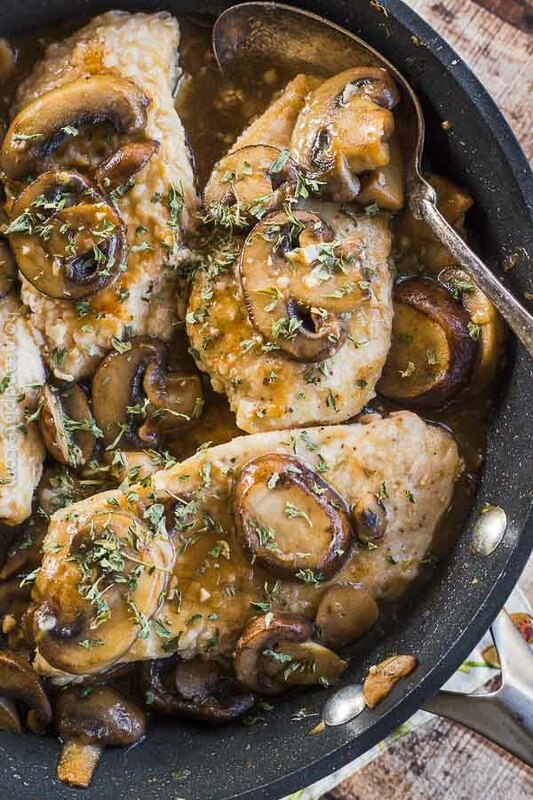 Don’t be afraid to step out of the box with this easy ingredient recipe. 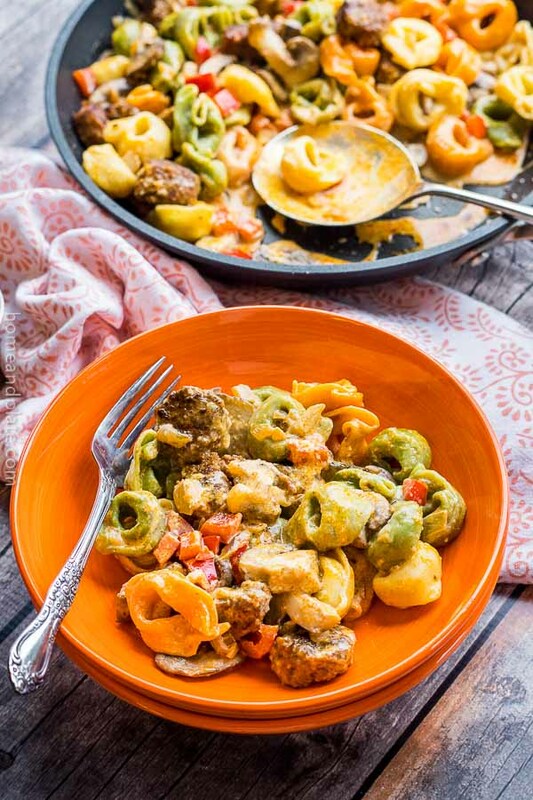 Wild Alaskan sockeye salmon is high in protein, vitamin D and Omega – 3 fatty acids. 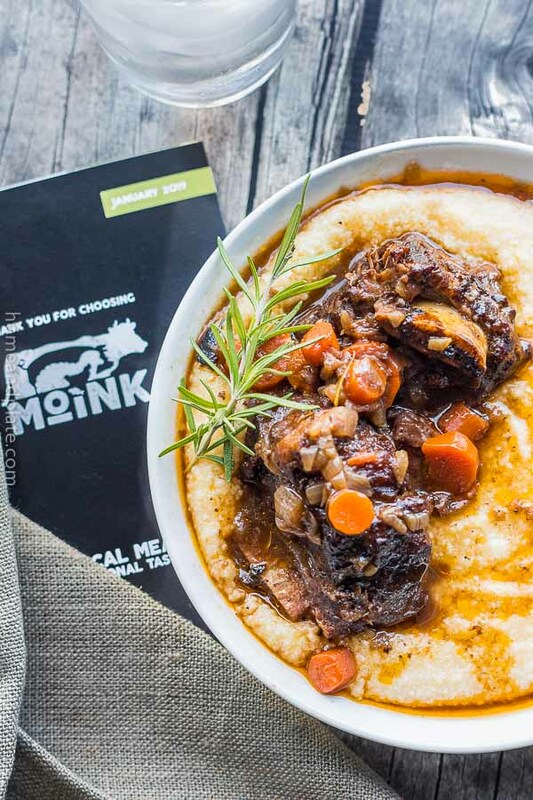 It’s a healthy choice for a mid week meal. And it just tastes so good. Wild sockeye salmon, also known as red salmon or blue skin salmon, is actually known for its bright red skin. It tastes quite different from other salmon varieties, wild or farm raised. So make sure you pick up the Sockeye wild variety. It doesn’t take much to prepare. Garnish this fish with a little bit of olive oil, kosher salt and fresh ground pepper and pop it in the oven for about 15 minutes. 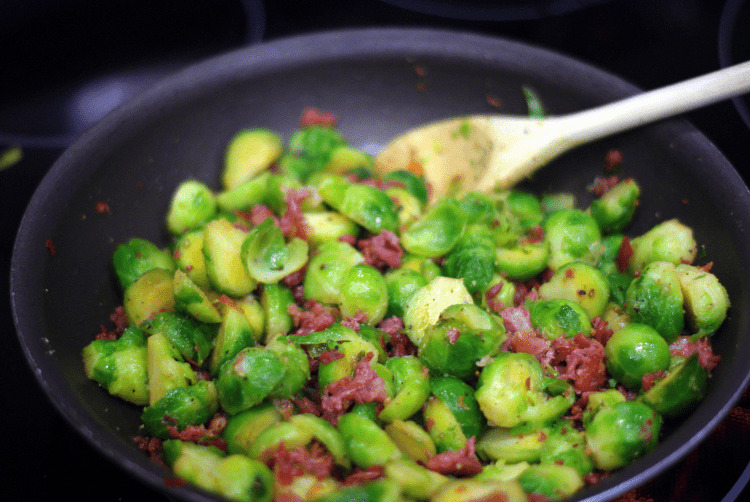 Meanwhile, crisp up some chopped prosciutto and pair it with sautéed brussel sprouts. 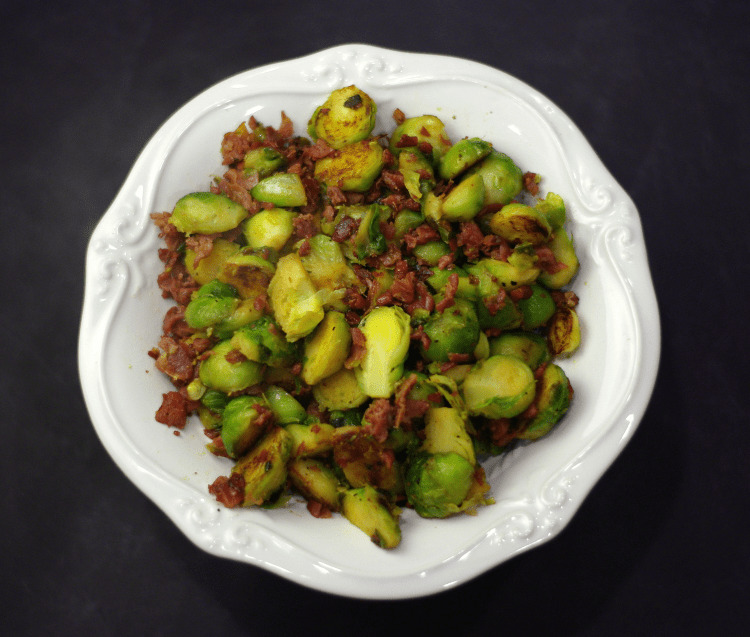 Not a fan of brussel sprouts….neither was I until I tasted this simple easy recipe. May I remind you that spouts are loaded with Vitamin C and K and are high in anti-cancer properties. Give it a try. Preheat the oven to 425 degrees. Line a thin pan or lipped cookie sheet with tin foil. 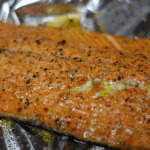 Place the salmon skin side down on the foil and drizzle with about a tablespoon of olive oil. Sprinkle the fish with a generous amount of kosher salt and fresh ground pepper. Bake for 10-20 minutes until the fish is flaky and opaque. Oven temperatures vary as do palates so a good cooking rule to keep it from drying out is start checking it after about 10 minutes. 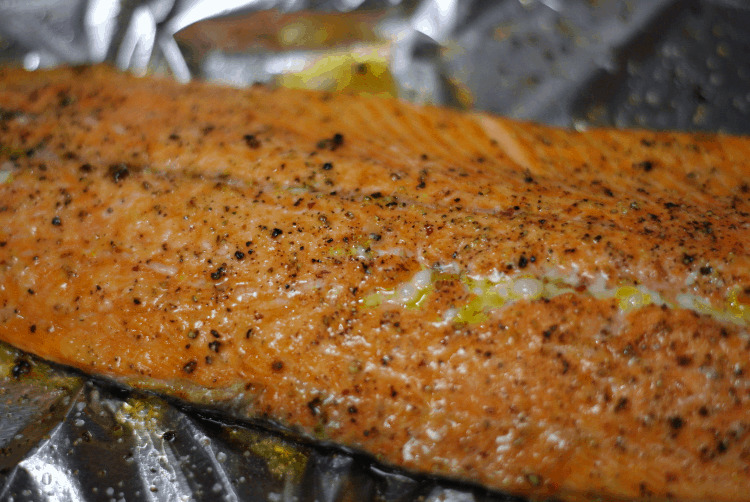 A smaller piece of salmon won't take as long in the oven as a thicker piece. Also, a drizzle of lemon juice or white wine over the salmon will help it retain its moisture. After removing the salmon from the oven let it sit for about five minutes before cutting it into smaller pieces. The skin should stick to the foil as you move it to a plate. Otherwise scrape the skin away from the fish with a knife. The salmon should be firm and flaky. While the salmon is baking, saute the prosciutto until it is crispy, about 5 minutes. Add the butter and sprouts and cook until the sprouts caramelize, another 5 minutes. Add a tablespoon of lemon juice to the pan to deglaze and stir until well mixed.